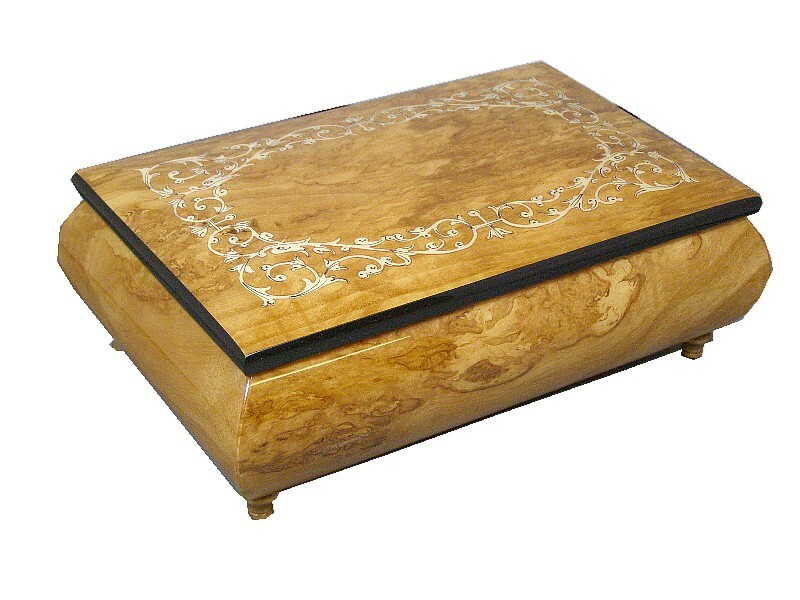 Beautiful inlaid musical jewellery box, from the Music Box Shop, Shop 4 Music Boxes. 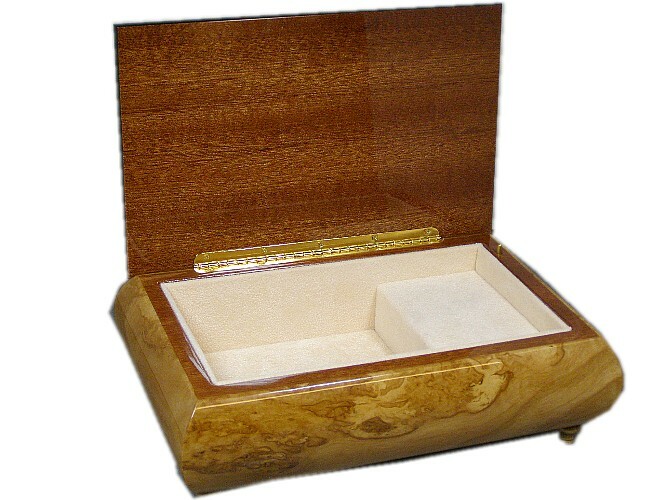 A beautiful musical jewellery box finished in natural veneer. This musical jewellery box is hand made, finished in natural brown veneers, and coated in a gloss lacquer. 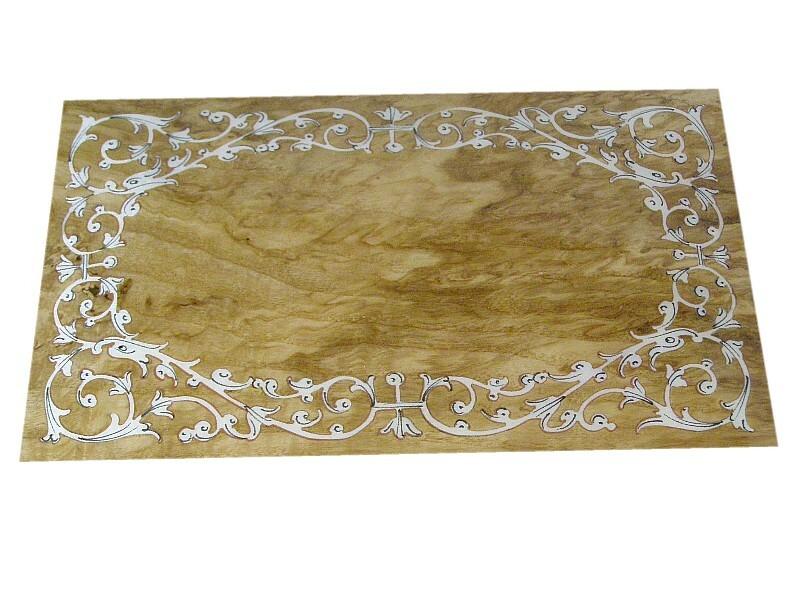 The marquetry set into the lid is of a delicate scroll design. Approx Size :210mm x 135mm x 70mm.